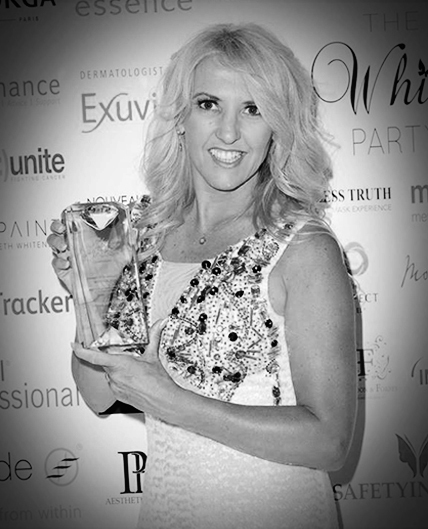 Karen Betts was delighted to win ‘The Safety in Beauty Diamond Award’ in Excellence and Dedication to Safety in Beauty at this year’s prestigious London White Party event on 2nd July. Facing stiff competition from many other reputable and highly commended companies in the Medical and Advanced beauty sector, Nouveau Contour UK (Karen’s Permanent Makeup Training Academy) won this magnificent accolade in the ‘Best Training & Professional Development’ category. As well as being recognised as a world renowned permanent makeup artist, Karen is regarded as a highly influential industry educator and leader. She set up Nouveau Contour UK in 2001 and the company is now considered one of the leading training academies for permanent makeup throughout the UK. As well as providing top quality training in permanent makeup and medical tattooing, Nouveau Contour UK are also advocates of continuing professional development, offering opportunities and support for both their students and any permanent makeup artists trained elsewhere by hosting a number of events, seminars and workshops each year. Under Karen’s guidance the company has won many industry awards and accolades over the years, and trained thousands of students.